Marwa Mohssen is a HANDS’ Professional Fellows alum, who is passionate about empowering women. 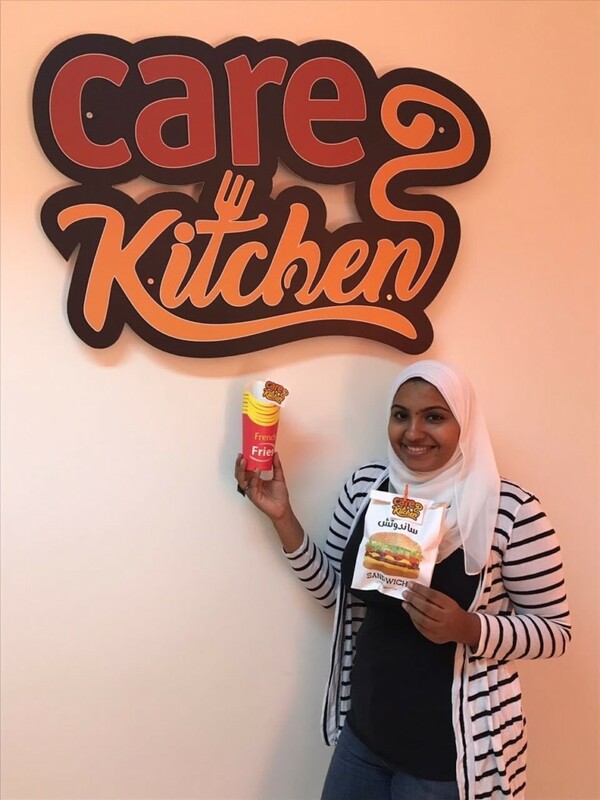 With the experience and knowledge she gained through our program, Marwa has launched a new project to improve the lives of working mothers at her workplace, the headquarters of CARE Egypt. One of her main goals in this project is to find innovative ways that mothers can work outside of the home while still meeting societal expectations of being responsible for meal preparation. She petitioned to re-purpose a room in the office, and has established it as the CARE Kitchen, a cafe, kitchen, and networking space. Her program has trained and employed refugee women to cook meals that staff at the organization can take home to serve to their families in the evening. Through her project, Marwa managed to create a way to empower women of various backgrounds. Her coworkers are able to fulfill both their job responsibilities and societal expectations of providing meals, while the refugee women who work as chefs at the cafe have the opportunity to generate an income. It also has the cultural benefit of introducing Egyptians to the cuisine of the refugees’ home countries (primarily Syria and sub-Saharan Africa). Marwa also uses the cafe space for interaction between different positions, ages, and genders of CARE staff. During breaks, she organizes discussions on particular topics, including fashion, sports, and art. This builds on her experience in the United States of being exposed to informal interaction between various levels of management and staff. HANDS is proud of Marwa and the rest of our Professional Fellows Program alumni. We are grateful for our HANDS donors, especially the U.S Department of State Bureau of Education and Cultural Affairs, and the local American host organizations for giving us the opportunity to facilitate these professional and cultural exchanges. By continuing to build networks between peoples and cultures, HANDS’ Professional Fellows Program contributes to transforming communities and solving challenges surrounding women’s empowerment . No Comments to "Marwa’s Kitchen of Opportunities"